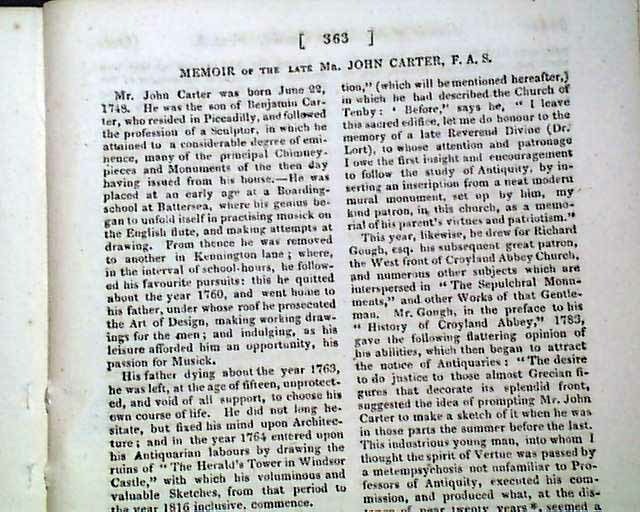 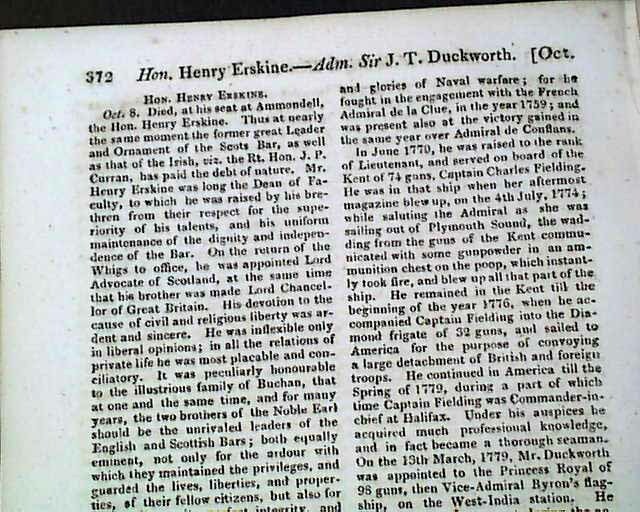 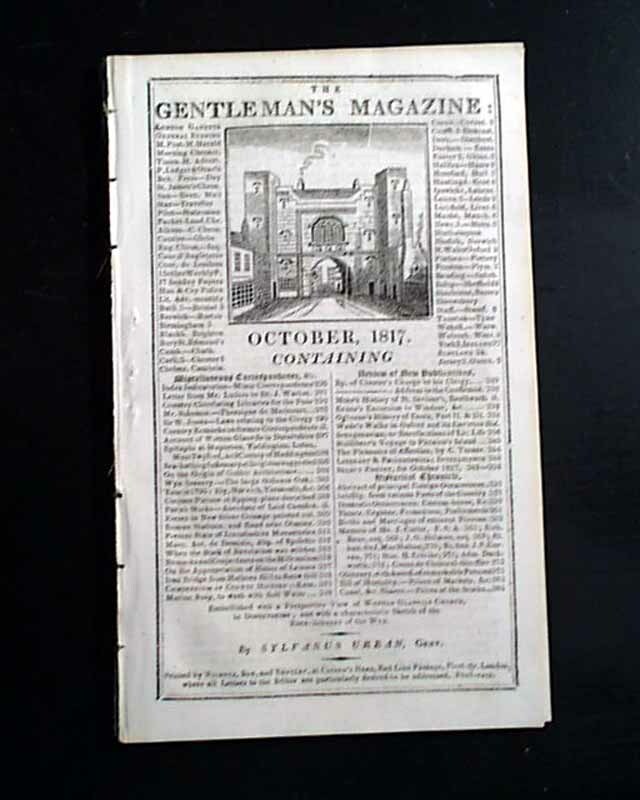 Whereas the issue includes reports from the Americas, including one from Haiti mentioning the building of a college with recommendations by William Wilberforce, perhaps the most interesting material are the multi-page memoirs of sculpture/architect John Carter, F.A.S., Admiral John Duckworth & Auguste de Choiseul-Gouffier. 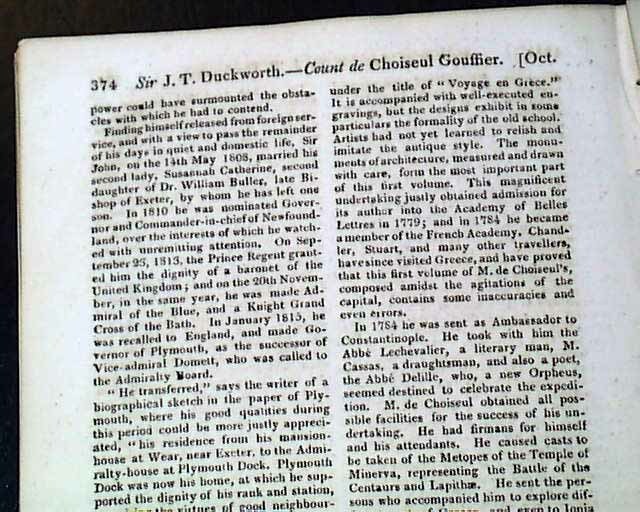 Also included are two plates: "Wotton Glanvile Church (Dorset)" and "Cold Well on the Rover Wye." 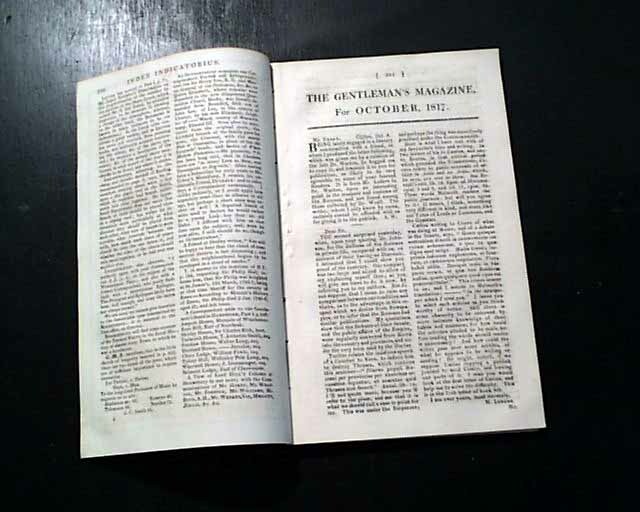 Complete in 96 pages, 5 by 8 1/4 in., full title/contents page, and is in very good condition.